Mesaba Country Club invites you to host your next special event or wedding with us! "Offering Country Club Amenities without the Country Club Prices"
Whether you're planning a lunch meeting, a small golf outing or an extravagant Hibbing wedding affair, Mesaba Country Club is the perfect choice for you. 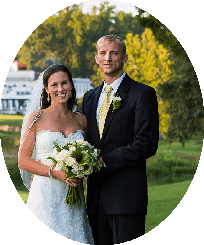 Mesaba Country Club is the premier wedding reception venue in Hibbing, Mn. The public is welcome and we are a very popular location for parties and events both big and small. We are nestled in a relaxing country setting and we offer a comfortable, yet elegant atmosphere for your special event. 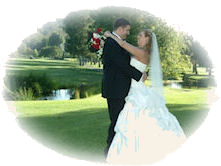 We offer a beautiful panoramic golf course view to compliment your perfect dream wedding. Fine Dining, excellent service and an array of affordable options are sure to enhance any memorable occasion. We can customize a menu and beverages to suit your event. Let us create the lasting memories spent with family and friends for that once in a lifetime occasion. The Mesaba Country Club wedding and banquet reception facility is available to the public for a very nominal fee. We can seat up to 240 people for your special occasion. We specialize in individualized attention for even the smallest of groups. Planning your wedding is an exciting and important time in your life. 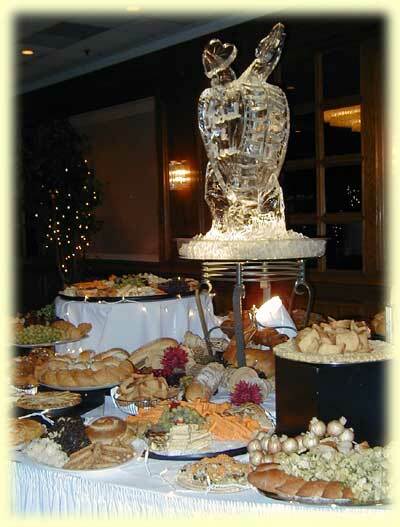 At the Mesaba Country Club we understand that each bride has unique wedding reception needs. We are ready to help you coordinate all your special wedding details to ensure your dream wedding becomes a reality at the Mesaba Country Club. We are one of the best Hibbing, Mn wedding venues because we go the extra mile. Whether you are planning a fabulous wedding ceremony or reception, an anniversary celebration, a graduation party, a business meeting, or just a small gathering of friends, the Mesaba Country Club will handle your banquet with expertise. We'll take care of the details for you and make sure your event goes off as planned. Whether it's a meeting or lavish wedding affair, we encourage you to take advantage of the areas most beautiful setting.